Android devices come in a wonderful variety of shapes, sizes, colors, and capabilities. They can differ from one to another in terms of operating system-level features, pre-installed apps, and innovative interface experiments. Why is there such a difference? This guide is available to download as a free PDF. Download How Android Differs Depending on the Hardware Manufacturer now. Feel free to copy and share this with your friends and family. The Android Open Source Project gives device manufacturers a lot of leeway in creating unique features that will draw customers. Compare this to iOS, where Apple controls the hardware and platform (although this has its own advantages). In this guide we’ll take a look at how new versions of Android are released, how manufacturers use them in their devices, and some of the most intriguing changes they’ve baked into their products. Many refer to Android as a “version” or “fork” of Linux. It is correct to say it’s a Linux-based OS Is Android Really Open Source? And Does It Even Matter? Is Android Really Open Source? And Does It Even Matter? Here we explore whether or not Android is really open source. After all, it is based on Linux! Read More , as it uses the Linux kernel. But Android differs because it doesn’t use the same set of GNU utilities that are so common on other distributions Why Hardly Anyone Calls Linux "GNU/Linux" Why Hardly Anyone Calls Linux "GNU/Linux" You're interested in Linux and have read a few blog posts. Along the way, you've come across a funny name: GNU/Linux. But what does this mean? Read More . It’s not as though an Android user can simply “drop into a terminal” and expect to be productive. In fact, Android devices don’t provide access to a standard terminal at all, unless you install a separate app for it How to Use the Linux Command Line on Android With Termux How to Use the Linux Command Line on Android With Termux Replace tons of bulky Android apps with just one slim Linux command line app. Read More . Instead, it uses the Linux kernel as its base and adds a runtime to execute apps along with other libraries to it. Apps and system services use these resources, and the result is the Android we all know. This hierarchy is shown in the below image from the Android Developers portal. Android is similar to Windows in that, once a particular version has been through development and testing, it’s “released.” Its source code is pushed to the repositories of Android’s developer portal, where manufacturers can freely download and use it. Let’s take a closer look at how Android receives its ongoing enhancements. “Stock” Android is the Android that results from its development in the open, collaborative environment Google has established. As Google coordinates the development of Android, it will make regular releases to the Android Open Sourse Project (AOSP). The output of this project is the source code for the complete mobile operating system we know as Android. It’s important to know what “operating system” means in this context. It refers to a combination of underlying platforms (the kernel, basic software libraries, etc.) as well as some applications. Together these are what the industry refers to “stock Android,” and it has become very much in vogue for devices to ship with something close to it. Manufacturers, including Google, need to create images for their own devices. Now, “stock” Android doesn’t necessarily mean “official” Android. Google’s new “Certified Android” Google Wants You to Buy Certified Android Devices Google Wants You to Buy Certified Android Devices Recognizing certified Android devices is about to get easier. This is thanks to Google launching a new program which adds Google Play Protect branding into the mix. Read More initiative is trying to ensure that device manufacturers are following security guidelines and pre-loading certain Google’s apps. This goes beyond “stock Android” as it requires review and approval by Google. At the other end of the spectrum, because Android’s source code is available for anyone, third parties can compile it How to Compile Your Own Linux Kernel How to Compile Your Own Linux Kernel Compiling your own Linux kernel is one of those geeky, technical things, right? We've already covered a few reasons why you might want to do this -- now is the time to try it yourself! Read More for devices of their choosing without Google’s blessing. There are two examples of this you might already be familiar with. The first is devices made by Amazon, which we’ll get to in a later section. These use Android as their underlying operating system, while at the same time using their own app store and main launcher interface. 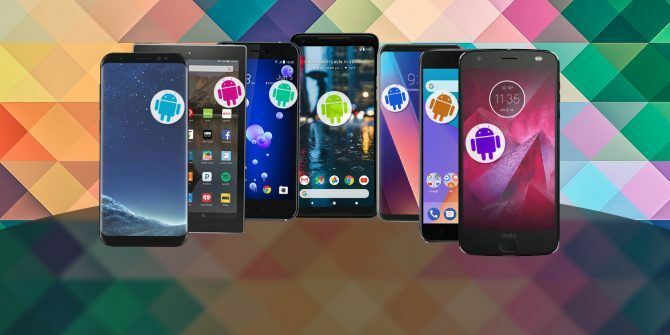 Another example is the many custom ROMs How to Install a Custom ROM on Your Android Device How to Install a Custom ROM on Your Android Device Ready to revitalize your Android phone or tablet? Installing a custom ROM is the best way to do that -- powering it up with even better performance and features. Read More the community creates. When you see a new one come out described as “based on Android Nougat,” it means the project used that release as their starting point. One easy way to see what stock Android (including Google’s apps) looks like is to use an emulator like the ones we have examined in the past How To Run WhatsApp In Ubuntu Using Genymotion, Bluestacks & More How To Run WhatsApp In Ubuntu Using Genymotion, Bluestacks & More On Windows, it is possible to run Whatsapp using an Android emulator like Bluestacks, but Bluestacks isn't available on Linux yet. However, there are ways to run WhatsApp and other Android apps in Linux. Read More . But Genymotion is a commercial product, and BlueStacks only runs on Windows (Anbox, on the other hand, is Linux-only). For a free and cross-platform option, you can download and install Android Studio and run the included SDK Manager. It allows you to download the programming resources for each release of Android (as shown in the below image), including a “system image” for each. On Windows, run the .EXE installer. On Mac, do likewise with the .DMG. On Linux, unpack the .ZIP file and run through the installer (check out our guide on creating your own Android App How to Create an Android App: Everything You Need to Know How to Create an Android App: Everything You Need to Know If you want to get starting making your own Android app, this guide includes everything you need. Read More for detailed instructions for these steps). These include Contacts, Phone (which includes the dialer), Camera, Browser (on older versions), Chrome (on newer versions), and some accessories like Clock and Gallery. This set of applications enables you to enjoy the basic benefits of your smartphone. But it represents a pretty barebones experience. This is why most manufacturers will do some measure of customization work. As mentioned, AOSP includes the work of Google as well as other contributors. Once released, manufacturers can download the source code and make their adjustments to it, as described in the following sections. When manufacturers are ready to begin work on a new device, they’ll begin with a copy of the source code from the AOSP project. Among the first things they’re likely to add are any drivers required to operate special hardware on their device. You can see an example of this in the Note 5’s S-Pen. This is a device that talks to the phone, even when there is no physical contact. So Samsung created a driver that accepts input from this accessory. The hardware may require some additional software as well. The S-Pen, for instance, accepts multiple configuration options. Manufacturers will create these components (like Settings screens, as shown in the above image) and add them to the Android codebase from AOSP. However, once all the hardware is accounted for, their work isn’t necessarily done. Lastly, a manufacturer will also make additions to create a unique experience for their customers. This can include installing default themes and pre-loading particular applications right out of the box. Like the items mentioned in the last section (drivers, config screens, etc. ), they can’t be uninstalled. It is this category where manufacturers will really differentiate themselves. In the following sections, we’ll take a look at some of the leading manufacturers and the customizations they’ve made to their recent flagship devices. In the sections below, we’ll be looking at two to six of the most useful and unique features of each phone. These are all pre-installed on the device, and many are exclusive. What we won’t be examining here is anything strictly hardware-related. So if you’re looking for which phone has a better camera or the latest Snapdragon processor Jargon Buster: The Guide to Understanding Mobile Processors Jargon Buster: The Guide to Understanding Mobile Processors In this guide, we'll cut through the jargon to explain what you need to know about smartphone processors. Read More , you’ll need to do some additional research. But if you want to see what software tweaks and modifications leading device makers are baking into their products, read on. As a leading manufacturer of electronics and other goods, Samsung has the scale to really invest in developing features to set their devices apart. First of these is Bixby, a voice-enabled assistant that competes with Amazon’s Alexa and Google’s Assistant. Once you configure what types of information you want to see (as shown in the below image), Bixby’s artificial intelligence is supposed to learn the more you use it. It will make recommendations and present them to you in the form of cards shown on the home screen. Voice, which enables voice control. Samsung notes that you’re able to zero in your commands more closely with Bixby, for example, requesting to open the camera app in a specific mode. Vision, which allows you to point the camera at something (shown in the image below) and get relevant info about it, such as translations for foreign words or shopping links for products. Home, the aforementioned collection of cards with contextual info such as your schedule or prompts to launch apps based on past habits or other triggers. One example of this is ordering an Uber straight from a calendar entry. Reminder, which prompts you based on conditions such as a time or location (shown in the image below). Samsung has also created the DeX environment, an attempt to make your Samsung phone your only computer. DeX is another alternate skin to Android (in addition to the company’s “TouchWiz” interface) that contains many of the trappings of a desktop: Start-style launcher button, movable desktop icons, a taskbar, and multiple application windows. This environment gets activated when you plug a compatible Samsung device (everything from the Galaxy S8 Should You Buy a Samsung? 5 Samsung Galaxy S8 Alternatives Should You Buy a Samsung? 5 Samsung Galaxy S8 Alternatives Looking for Samsung Galaxy S8 alternatives? We've covered five of the best smartphone options in 2017, ranging in price from the budget to the premium. Read More and up) into a set-up including keyboard, mouse, and monitor. Currently, Samsung’s own DeX Station is the only mainstream device with this capability, though you can find other off-brand solutions on sites like eBay or Amazon. The biggest story in Samsung’s app customization isn’t the apps themselves, but rather where you get them. In another showing of its market power, Samsung has it’s own app store, called Galaxy Apps. The newest addition to Samsung’s line-up, the Note 8, includes a feature called Live Message. It allows you to use the Note’s included stylus to draw animated messages or spruce up pictures. These are converted to GIF images, so you won’t need to worry about the recipient also having a Note 8 or using a special app, which is often the case with features like this. We recently called the newest Fire 10 HD Amazon Fire HD 10 (2017) Review: The Best Value Tablet Around Amazon Fire HD 10 (2017) Review: The Best Value Tablet Around This year's Amazon Fire HD 10 refresh adds some seriously cool features and drops the price further. We think that makes it the best value Android tablet around – but it won't be for everyone. Read More tablet “The Best Value Tablet Around”. No doubt part of that is due to the software tweaks Amazon has made, provided you’re the type of user they’re targeting. While it no longer offers any phones, Amazon is nonetheless a big player in the market for Android tablets. The company’s Fire OS is technically Android under the hood, as it uses the same base layer as other manufacturers. But the user interface is heavily customized and accents the device’s target as a content consumer rather than a creator. In the past this was even more accentuated, as the home screen was basically a “coverflow”-style carousel of the content in your library. In recent releases however Amazon has taken a step back from that approach and made the launcher look a little more traditional. Another major new component of Amazon’s ecosystem is Alexa, its virtual assistant. Arguably the most capable of the assistants currently on the market, Fire tablets feature it prominently. The coming updates for the Fire line will add support for “hands-free” Alexa commands Buying the Amazon Fire HD 10? 10 Things You Need to Know Buying the Amazon Fire HD 10? 10 Things You Need to Know Amazon just launched a new version of the Fire HD 10 tablet with some neat improvements. Its low price (displayed below) makes it a compelling buy. But before you add it to your cart, there... Read More , or the ability to ask Alexa things without pressing a button. This will put the Fire tablet’s functionally on par with Amazon’s smart home devices such as the Echo and Echo Dot. However, Alexa integration is also bound to a long-press on the app drawer (shown in the below image), indicating it’s importance. One of the most fundamental differences in Amazon’s devices however is how you obtain apps for them. A Fire tablet doesn’t have access to the Google Play Store out of the box. It has access to the Amazon Appstore Google Play vs. Amazon Appstore: Which Is Better? Google Play vs. Amazon Appstore: Which Is Better? The Google Play Store isn't your only option when it comes to downloading apps -- should you give the Amazon Appstore a try? Read More — a wholly different marketplace with a different selection of apps. Major apps are likely to be available in both places; a quick look at the “Best Sellers” from Amazon includes standards like Minecraft, Netflix, Facebook, and Angry Birds. But just because something is available in the Play Store doesn’t mean you’ll find it from Amazon. This includes the “Google apps” you’re used to seeing on a new Android device, such as Gmail, Google Maps, and Google Calendar. You can install all these if you sideload the Play Store onto your Fire device Remove Ads and Install Google Play on Kindle Fire Without Root Remove Ads and Install Google Play on Kindle Fire Without Root Get more from your Amazon Fire tablet! Here's how to install Google Play on a Kindle Fire and remove Amazon Fire ads without root. Read More , but this a rather complicated process that isn’t for everyone. Getting the Amazon Appstore on a non-Amazon device requires sideloading as well, though Amazon makes it really easy. The APK file is available for download, and they actually provide instructions for sideloading the app. The fact that you have to turn off the “Unknown Sources” security restriction prevents some nervous users from installing it, but it’s an otherwise painless process. Simply open the APK file from a file manager (above left) and accept the installation (above right). Not so long ago, the metal-body HTC One line from HTC competed head-on with the flagship phones of Samsung, Sony, and others. Nowadays they still produce phones with quality, understated (some might say a little boring HTC U11 Review: The Definition of Mediocrity HTC U11 Review: The Definition of Mediocrity HTC has really taken some risks this time around with the U11 -- like adding a squeezable frame. Some of those risks paid off, and some didn't. Read More ) designs, but their options don’t get nearly the attention the market leaders do. Comparatively, HTC tends to rely on its hardware rather than unique software modifications. A unique feature included in HTC’s most recent flagship device, the V30, is Edge Sense. It allows users to specify certain actions to run when the phone is squeezed. It allows you to set an app you use very often to a gesture that you only need one hand to activate (this is a use case some developers have built entire launchers around 4 Gesture-Based Launchers For Android Compared 4 Gesture-Based Launchers For Android Compared If you've ever wanted a quicker way to access your most frequently used apps, read on. Read More ). The clip below shows this action launching the Camera application. The phone’s hardware registers this gesture they same way it would a “fling” or a “shake.” HTC provides a set of controls within the Settings for users to customize how this gesture behaves Quickly Access Apps and Shortcuts With Custom Gestures for Android Quickly Access Apps and Shortcuts With Custom Gestures for Android Gesture controls make it super easy to navigate quickly around your Android device. Read More . This includes which application is launched and additional optional gestures (such as short squeeze or squeeze-and-hold). One of HTC’s most popular features is Blinkfeed, a “summary board” style feed containing updates from various apps. You access this feature by swiping to the left of the homescreen, much in the same way competitors like Flipboard 4 Flipboard Alternatives for Your Computer If You Don't Own an iPad 4 Flipboard Alternatives for Your Computer If You Don't Own an iPad Read More operate. The Sense Companion adds assistant-style learning to the feed concept, offering users suggestions for things like restaurants, system tuning, or helpful reminders. The example HTC often references, shown in the image below, is a reminder to charge your phone when it notices upcoming meetings on your calendar. The company’s Sense interface is overall very close to a stock Android launcher. Most changes are focused on simplification of both function and look-and-feel. But the theming engine allows for a good amount of aesthetic customization, yet their overall layout and control of the user interface doesn’t stray far from stock. The image below, accessible from the home screen configuration for the U11, demonstrates some of the themes available to change the look of your device to suit your taste. HTC has also made an effort recently to use the applications of other companies where it makes sense. For example, in recent devices (such as the HTC 10 HTC 10 Review HTC 10 Review There's little to complain about with the HTC 10, aside from the mediocre battery life and quiet speakers. But there's nothing about it to get excited about, either. Read More ) the company replaced home-grown apps such as HTC Gallery and Music with their Google counterparts. In this spirit, HTC also offers Amazon’s Alexa as a choice for the virtual assistant on their devices. LG has produced good flagship phones that have largely flown under the radar to date. While it doesn’t have a “trademark” feature per say, the company does implement some clever additions to the overall experience while also providing some enhanced applications. You can also customize what shortcuts or apps are accessible on the Floating Bar. They could be: Settings screens, favorite contacts, controls for music players, or the ability to take a quick screenshot. LG phones also have Always-On Displays. When configured, the phone will reduce its brightness (to prolong battery) and display the lockscreen when the phone would normally go to sleep. Users can set the display from among a variety of layouts, which can include the time, date, and other bits of information. In many ways the V30 targets the mediaphile. Its high-quality audio set-up is evidence of this, as is its photography features. The first of these is Graphy, which allows you to select from among a number of pre-configured photo settings. Graphy presents famous pictures to users, who can then apply the settings such as light sensitivity, aperture, and shutter speed from those images all at once. It allows you to match the conditions you’re in with the look you want based on photos that have already done just that. It’s a unique, intuitive way to prevent users from struggling with settings to get just the right combination for given shot. Similarly, Cineffect is a collection of video filters with the names of various types of movies. For example, “Romantic Comedy” is bright with soft lighting, while “Noir” is dark and brooding. The camera app allows you to apply these filters directly (shown below), with the added bonus that they will not degrade video quality. Xiaomi regularly ranks among the top ten makers, sometimes as high as top five depending on who you’re asking The 5 Best Cheap Android Phones in 2017 The 5 Best Cheap Android Phones in 2017 Looking for an inexpensive Android phone? You've come to the right place. Read More . The company is building on this momentum, which originates from the unique features it builds into its MIUI interface, which is also the basis of a very popular community ROM. 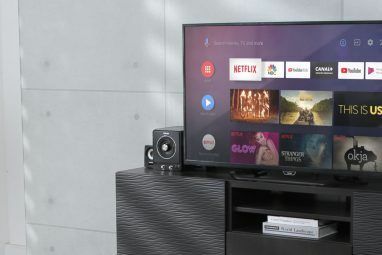 Its goal appears to be making inroads into other segments of the market, including PC’s and smart devices. The latest MIUI version 8 has an interesting feature called Dual Apps that allows users to configure apps with multiple profiles, even if those apps don’t expressly support it. For example, using different Skype accounts normally requires you to log out of one account and into another. But this feature allows you “clone” an app, which sets it up in a sort of sandbox with its own data and settings. MIUI 8 will list the apps it supports in this fashion within a Settings screen. Flipping the switch for the app will create the second profile. This is not unlike how multiple profiles work in Chrome 5 Custom Chrome Profiles You Should Start Using 5 Custom Chrome Profiles You Should Start Using One Chrome feature is often overlooked: the ability to have multiple user profiles. We show you how they can make your life easier. And yes, you can use profiles in Firefox and other browsers too. Read More , each with their own histories, bookmarks, etc. Apps with dual profiles will also receive separate icons on the launch screens. One will have the standard icon, and the second (shown below at right) will show it overlaid with a “copy”-style badge. As you can see, each of these WhatsApp instances has a different set of chats, because they’re different accounts. The Second Space feature takes this concept one step further, creating completely separate environments. This is similar to the type of personal/work split enabled by Good Technology (acquired by Blackberry), allowing users to have a set of company-controlled apps and data segregated from their own. It’s also similar to Android user accounts for tablets Two People, One Tablet: What Are Your Options? Two People, One Tablet: What Are Your Options? Want to share a tablet between multiple people? Then you need to learn how to juggle multiple user accounts. Read More , except the different spaces each have their own apps. When setting this space up you’ll have the option “import” files and apps from your primary space. You switch using a launcher icon and/or an entry in the notification tray, as shown in the below image. Once you set up the sender and receiver for the move, you can select which items will transfer. Choose them either as a category (shown below at left) or for each item (shown below for apps at center and SD card files at right). Some of these imports happen simply by signing into a new phone with your Google account. But the items within System Data are often not among them. This sort of bonus functionality is what users enjoy about the community ROMs, which will attract them to the devices as well. The app allows users to control and monitor connected devices. The precise capabilities depend on the device on the other end. But examples include reading filter life on air purifiers (shown in the above image) or turning lights on. You can also combine actions into “scenes” that users can activate with a single tap. When taking a screenshot of a long web page, for example, you can use Scrolling Screenshot to pan down and capture the entire page. In other words, it doesn’t limit screenshots strictly to what’s on the screen at the time. Straightforward, but pretty useful! Before smartphones were a thing, Motorola made two of the must-have phones of their time: the iconic Star-TAC clamshell, and it’s svelte successor the Moto RAZR. Even after the introduction of the iPhone, the Droid line was arguably the first hit in the Android segment Breathing New Life Into an Old Android: How I Revitalized A Motorola Droid Breathing New Life Into an Old Android: How I Revitalized A Motorola Droid This article is about my effort to transform an old, dog-tired Motorola Droid into a useful phone that can still be used to check email, post on Facebook and research online. Read More . 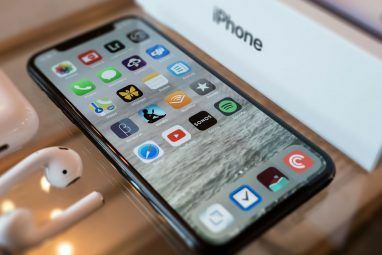 Then came some changing ownership and questionable design decisions (we’re looking at you, MotoBlur 5 Reasons To Choose iPhone Over Android [Opinion] 5 Reasons To Choose iPhone Over Android [Opinion] If you’re considering buying your first smartphone, you’ve got a fairly big decision to make. As well as choosing a carrier, plan and minimum contract period you then have to trawl through the barrage of... Read More ). However, the Lenovo subsidiary’s approach today is much more measured. Moto Mods aren’t the first attempt at modular phones Google's Project Ara Will Make You Want a Modular Phone Google's Project Ara Will Make You Want a Modular Phone Modular smartphones may sound like fiction, but they're closer to reality than you might think. Google is making real progress with Project Ara and it sounds promising. Read More , but Motorola is investing big in its iteration. These devices mostly take the form of “sleds” that attach magnetically to the back of compatible phones. They provide enhanced hardware features (such as a speaker, projector, or camera 8 Phones With the Best Cameras Today 8 Phones With the Best Cameras Today With advancements in hardware and a demand for multi-function devices, smartphone cameras can indeed replace standalone cameras. Read More , as shown in the above image). Some also have companion apps to enhance their functionality. For example, the recently-launched Moto Gamepad links to the Moto Game Explorer app, which contains a list of Gamepad-compatible games. Better yet, selecting one will direct you to purchase it from the Play Store, and not some proprietary storefront like some game controllers Enhance Android Gaming With These Controller Options Enhance Android Gaming With These Controller Options Gaming on a touchscreen can be difficult and frustrating. While being able to whip out your Android phone and sneak in a little Final Fantasy on your lunch break is great, having no tactile feedback... Read More offer. In terms of more operating system-oriented changes, the Z2 Force contains a group of settings for Moto Actions. You can enable and disable these specific gestures, available on other Moto phones Moto G5 Plus Review: Solid Mid-Range Phone Moto G5 Plus Review: Solid Mid-Range Phone It's not the best value you can get for a smartphone, and it's not the most innovative smartphone out there, but it's a decent balance of the two. Read More as well, in the “Moto” Settings screen as shown in the below image. You can’t change these like you do with some other brands. But they do capture options for common needs (such as putting your phone in Do Not Disturb mode when it’s turned face-down). Like the Always On Display from LG, Motorola’s Moto Display shows updates and information when the phone is asleep. Lastly, Motorola includes an assistant feature called Moto Voice. It’s not a full-blown assistant in the way that Samsung’s Bixby is. Instead, it’s a different way of activating Google Assistant that can be activated even when the screen is locked. It does provide some other functionality, though, like reading out your text messages to you when you’re driving. The Android image Google ships with their own hardware isn’t strictly “stock Android.” But it’s very close from both the visual and usability perspective. It’s not surprising Google would integrate their own Assistant in a high profile way for their own hardware. And they did, by mapping Assistant to the Active Edge available on both Pixel 2 models. Like Edge Sense on the U11, this feature launches an app in response to a squeeze of the phone’s sides. In this case, the app in question is Google Assistant. Unfortunately you’re not able to configure the squeeze gesture to do other things (as shown in the below image). This is a clear sign of Google pushing the Assistant app as the user’s path of choice to content. This convenient, one-handed gesture positions Assistant as the best option for quick interactions like checking messages or sending texts. 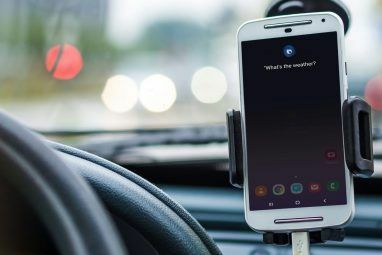 Google Lens is able to match objects in the phone’s camera viewfinder and begin searching for additional information about them. The phone will combine all Google’s indexed data with its latest investments in artificial intelligence and machine learning. The result is similar to (but better than) Samsung’s Bixby Vision Google Assistant vs. Bixby: Does Samsung Have Any Hope? Google Assistant vs. Bixby: Does Samsung Have Any Hope? Samsung has introduced their own voice-controlled competitor to Google Assistant -- but is it enough? Read More . For example, you can simply start snapping pictures of things to price products or identify landmarks (as shown in the image below) and link to their information on the web. Another rather unique feature of the new Pixels is Now Playing. It’s a sort of always-on Shazam in that it identifies songs anytime music is playing nearby. The title and artist display on the Pixel’s always-on lock screen or as notifications. And unlike comparable services, the Pixels have a local database of popular songs. It won’t need to contact a Google server to identify them, saving your mobile data. Over the course of this guide we’ve examined the wide variety in the Android market. Its the open platform that allows manufacturers to make different form factors, software features, and other little changes. There are many in the industry who point at these and cry, “Fragmentation!” But that’s what allows innovation as the Samsungs and Googles of the world compete. Add to this the open source AOSP project and a vibrant developer community, and Android gives you a multitude of options. Do you have a favorite feature from your own Android device? Anything you wish you you had from other Android devices? From iOS even? Share your thoughts on the broad spectrum of Android functionality, along with any tips you have, in the comments below! Explore more about: Android, Android Customization, Google, Google Pixel, HTC, Longform Guide, Samsung. "...releases to the Android Open Sourse Project (AOSP)." So I did... thanks for the heads-up Doc!